By comparison, medieval and early Renaissance dentists could be primitive in their practices and beliefs. They taught that cavities were caused by “tooth worms” boring outward (a theory depicted in numerous extant illustrations), and though they extracted rotted teeth, they often made little effort to replace them, leaving patients with gaping holes for a lifetime. The rich purchased good, sturdy teeth from the mouths of the poor. Pulled for a negotiated fee, the teeth were set in “gums” of ivory. Keeping uppers in place required ingenuity in the dentist and continual vigilance and great vanity in the patient. Fashionable women in the 1500s had their gums pierced with hooks to secure denture wires. In the next century, it was possible to keep uppers in place through the use of springs, so sturdy that constant pressure was needed to keep the mouth shut. A momentary lapse in concentration and the jaws suddenly flew apart. 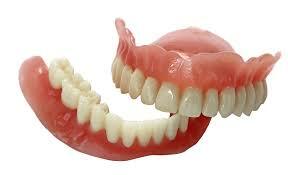 Denture appearance began to improve around the time of the French Revolution. Parisian dentists made the first durable, realistic-looking porcelain teeth, baked in one piece. The fashion was adopted in America by Dr. Claudius Ash. Ash deplored the practice of collecting teeth from the battlefield. Horror stories abounded of the unscrupulous operations of “teeth robbers,” who pillaged their bounty from wounded soldiers not yet dead. Thousands of Europeans sported “Waterloo” dentures, and as late as the 1860s, thousands of Americans wore “Civil War” plates, while barrels of additional young American soldiers’ teeth were shipped to Europe. Porcelain teeth eventually put an end to that practice. As porcelain greatly improved the appearance of false teeth, vulcanized rubber, perfected in the late 1800s, paved the way for the first comfortable-to-wear, easy-to-fashion base to hold teeth. Concurrent with these two nineteenth-century innovations was the introduction of the anaesthetic nitrous oxide, or “laughing gas,” ushering in the era of painless dentistry. For the first time in human history, decayed, aching teeth could be extracted painlessly and replaced with comfortable, durable, and attractive dentures. By the 1880s, demand for false teeth was enormous. Only in the next century would the miracle of plastics improve their appearance, as brilliant white teeth are now mandatory in America.. Previous PostThe rather odd history of the Penthouse….